Yesterday afternoon, Tim and I had the opportunity to represent Image Marketing Consultants at the Save-a-Suit event at the University of Bridgeport. If you have not yet heard of this organization, take a minute to read on! 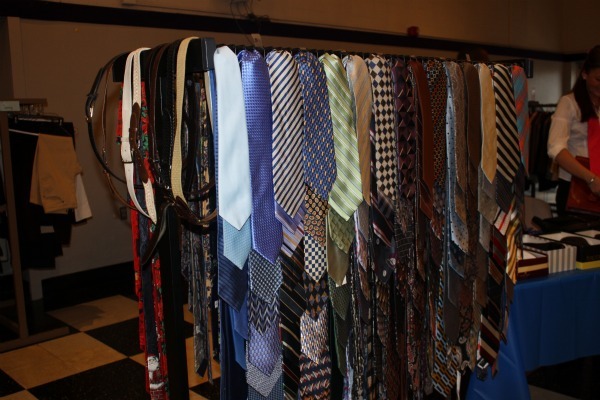 This amazing non-profit organization collects suits and accessories for college students who cannot afford to buy them, in hopes to boost their confidence and better prepare them for their job search. 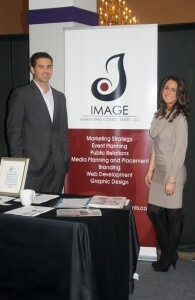 At Image Marketing we’ve recently begun a college coaching program to help students develop their “brand” and prepare for the “real world” by offering advice, tips and insight from the perspective of the employer. Everything from resume building, interview preparation and skills, how to make a lasting first impression, maintaining and monitoring social media sites, how to dress, and so much more. 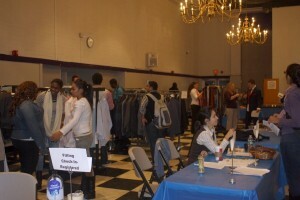 Save-a-Suit provided us with an excellent opportunity to reach more students and better develop our own program. We met a variety of students from different backgrounds, nationalities, and races; all of them shared with us their major concerns about preparing to enter the work force. The majority of students have the same fears and questions, and we are grateful to have the opportunity to lend a helping hand, and steer some of these students it the right direction. I actually grew up with the Chief Information Officer of Save-a-Suit, Jessica Ewud, she is such a doll and I’m so glad I was able to catch up, and learn more about what she’s been doing for the organization. Working with Save-a-Suit seemed like a natural fit for us, and we hope to continue to work with them in the future. For more pictures from the event, visit our Facebook page! You can get involved and learn more about Save-A-Suit on their website www.saveasuit.org, their Facebook page“Save-a-Suit”, and on Twitter @SaveASuit.